A Norfolk hospital has recruited 42 nurses from Portugal citing a shortage of trained staff in the UK. 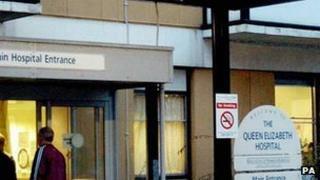 The Queen Elizabeth Hospital in King's Lynn said the nurses would arrive in June and July. Valerie Newton, deputy director of nursing, said they were also recruiting locally and nationally to recruit a total of 70 nurses. The decision to increase the number of registered nurses on wards followed a recent review, she said. "The thing everyone is seeing nationally is that the dependency of the patients is increasing - we have patients becoming older with increasingly complex needs, so it's very important we have the right number of staff on the wards," said Ms Newton. She said the hospital had opted for recruitment in Portugal as there were fewer nurses coming out of training courses in the UK. All the nurses from Portugal were registered nurses, she added. "They do a four-year degree, it's very practically-related as well, so they will come with excellent practical and clinical skills." There are 17 nurses set to work at the hospital that were recruited in Dublin and Belfast. Nurses will also be recruited from the University of East Anglia and Anglia Ruskin University in Peterborough. Karen Webb, eastern regional director of the Royal College of Nursing, welcomed the extra nursing staff, saying the hospital was taking the need for more nurses at the hospital seriously. However, she said going abroad for nurses was "clearly not a long-term fix". "I would like to see additional student nursing places commissioned. There is no shortage of potential student nurses," she said.